The Classic Cardigan for baby, with an update: 100% Ultra-soft Baby Alpaca, three big Olivewood buttons, and the classic Coco length- not too long, not too short. 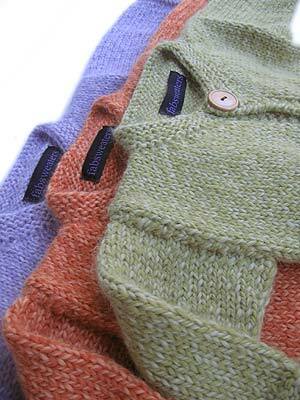 In three fab colors, this is just the right baby cardigan for the park, or for a pirouette. Please do check out the sets - hats, booties and pats make this a great baby shower gift!